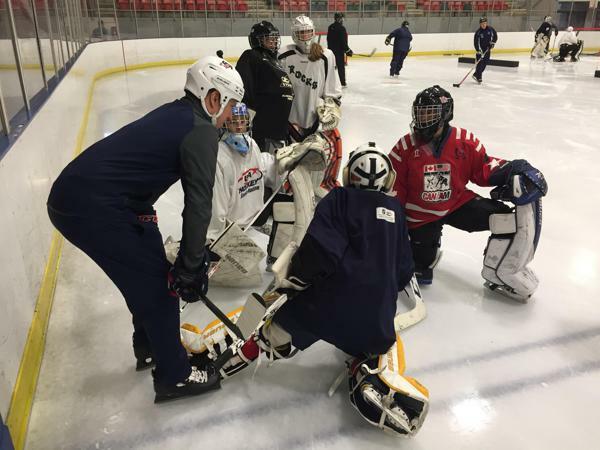 USA Hockey continues to use innovative ways to connect coaches to education and resources for the development of young players. First, USAHockey.com has information about the American Development Model (ADM) and a cornucopia of tools for age-specific practices. The USA Hockey Mobile Coach app puts these tools in the palm of your hand, allowing coaches to build practice plans and track activity and progress of players on their smartphones and mobile devices. As we begin a new season, USA Hockey National Coach-In-Chief Mike MacMillan wants bench bosses at all levels to be connected – to the idea of age-appropriate development. Coaches must emphasize long-term player development and setting players up with the tools to succeed not only this season, but beyond. “Connecting coaches to think about long-term development is crucial,” MacMillan said. “If coaches don’t understand long-term athlete development, don’t understand those different stages, it’s going to stunt our athletes. If you have a 10-and-Under coach who is trying to run 14-year-old practices, that 10-year-old is going to miss out on important skill acquisitions for his age group. Recently, USA Hockey helped host a number of events to connect at all levels throughout the country. Events like the National Hockey Coaches Symposium (Level 5) in Lake Placid, New York, the Minnesota Hockey and Pacific District Directors Conference and the Bruins Academy Coaching Symposium in Boston are opportunities for coaching development and education. Many of these events are attended not only by youth instructors, but college and pro hockey thought leaders. The Level 5 event was headlined by names such as Mike Eruzione, Jeff Blashill, Jon Cooper, Mark Johnson and two-time Stanley Cup champion Mike Sullivan. The event in Boston included presentations from Quinnipiac men’s goaltending coach Jared Waimon and Boston Bruins general manager Don Sweeney. The symposium in the Twin Cities was attended by Minnesota Wild President Matt Majka. The forward-thinking Minnesota executive sees the need for a panoramic view to the game. NHL clubs are involved in a number of community outreach programs that are intended to grow youngsters’ passion, development and experience with the game. “When you listen to the NHL coaches talk at the USA Hockey Level 5 symposiums, as an example, a lot of what they say transcends to that younger age group,” MacMillan said. College and pro coaches often give back to the community and attend youth practices or speak at coaching events. USA Hockey partners with coaches at all levels to help all youth hockey coaches better understand long-term development. Take advantage of these opportunities. Hear from the best talk about long-term development. Embracing the big picture is critical to maximizing development.